Hillary handles cases involving child custody proceedings, conservatorships, divorce, guardian ad litem and guardianships. At the law office of Hillary Dewhirst, we represent individuals in a wide variety of legal matters that affect your family. We understand the sensitive nature of these issues and work with you to find the best solution while providing you with the compassionate representation that you deserve. Please review our family law categories below to find our more specific information about our family law practice areas. Child custody proceeding center around who will have physical and legal custody of a child(ren) for any given amount of time. The primary factor courts consider in making these decisions is the best interests of the child(ren). If abuse or neglect are involved, these proceedings occur at Juvenile Court and center around rehabilitation of the parent child relationship. However, if safety concerns exist, the court will look to family members, relatives or others in the community to care for the child(ren). In divorce proceedings, the court favors joint custody and both parties must be willing and able to work together to follow the court’s decision in order to protect their time with their children. Although courts favor joint custody, courts often award one parent primary custody and the other specific visitation. For the purpose of determining child custody, the court’s best interest of the child analysis will likely include any factors that affect the child’s health, safety and welfare. These factors can include the specific physical and mental needs of the child, the mental and physical health of both parents, both parents ability to provide adequately for the child, each parent’s individual relationship with the child, and often the child’s wishes if the child is over 12 years old. 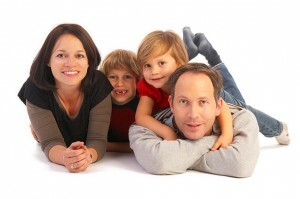 Child custody arrangements can be modified if a change is in the best interests of the child. Sometimes circumstances arise that require a court to revisit the custody arrangement such as a parent’s move to another area, a new job and income, or remarriage by one or both parents. Both determining and modifying child custody and child support arrangements can be very difficult for both parties and it is important to have an experienced attorney on your side. The Law Office of Hillary Dewhirst is experienced in all aspects of child custody litigation and is ready to help you achieve the arrangement that works best for your family. There often comes a time in the process of aging that a person needs help with their financial affairs and medical decisions. These situations can be resolved in advance through the use of proper planning. However when this planning is not done in advance, it might be necessary to ask for the court to appoint a conservator to make these decisions for another. Conservatorships can be granted for the care of the elderly and those who are mentally or physically unable to take care of themselves. If you think that you may need to petition for a conservatorship of a family member, the Law Office of Hillary Dewhirst can assist you with filing the appropriate legal documents to protect your loved one. In many cases, divorce is devastating and means more than just the end of a marital relationship. When a marriage ends, there are decisions that need to be made about child custody (make this a hyperlink to child custody), property division, spousal support, and child support. The Law Office of Hillary Dewhirst can provide the guidance you need to navigate the complex issues that arise during divorce while protecting your legal rights and financial interests. Divorce law in Tennessee permits couples to seek either a no-fault or a fault based divorce. If a couple agrees that there are irreconcilable differences that warrant ending the relationship, then they will pursue a no-fault divorce. Alternately, to obtain a fault-based divorce, one spouse makes specific claims against the other spouse to justify the divorce. These claims can include adultery, abandonment, and cruel treatment among others. In both a fault-based and no fault-based divorce, parties may have a contested or uncontested divorce. In an uncontested divorce, parties agree on the terms and conditions of the divorce. Parties work together to prepare an agreement that adequately provides for child custody, child support and the division of marital property between the parties. In a contested divorce, when the parties cannot agree on these terms, the court intervenes to resolve the disputes. Mediation is a cost-effective facilitated negotiation process that provides the opportunity to settle any matter through the use of a neutral party. Mediation is generally required in divorce cases. In a contested divorce, it is important to be thoroughly prepared for mediation in order to maximize the opportunity for settlement of your case out of court. A Guardian ad litem is an attorney who is either appointed by the court or agreed to by both parties to represent the interests of the minor children in a family dispute concerning the children’s custody or welfare. Guardian ad litems are the voice for the child or children in court. The Guardian ad litem has no loyalty to either party and can objectively investigate the situation and work with the children to determine what outcome they desire and what will be in their best interest. The Guardian ad litem must represent the children’s best interests and preferences even when this position differs from that of a state government agency or either parent. In order to adequately represent the best interests of the children, the Guardian ad litem is authorized to investigate any matter that could affect a judge’s decision about custody, visitation, or other matters concerning the children. A Guardian ad litem spends time meeting with the children, investigates living conditions and family relationships through home visits, and speaks with anyone who has valuable information regarding the children. After the investigation, the Guardian ad litem acts as any attorney representing their client by putting on proof to ensure the children’s best interests and preferences are heard in court. A guardian is an individual that is authorized by the court to make financial, medical and personal decisions for a minor child or an incapacitated adult. Legal guardianships are also available to family members who are concerned about a parent, child, spouse, or other family member’s physical well-being or mental health. If you think that you may need to petition for a guardianship of a family member, the Law Office of Hillary Dewhirst can assist you with filing the appropriate legal documents to protect your loved one. In addition, a Guardianship Plan is an important part of the testamentary planning process, as the court will look to your Guardianship Plan as a statement of who you would like to care for your children after your death.